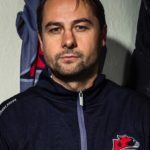 Murrayfield Racers face a massive weekend in the Scottish National League as they meet their two main rivals for this season’s title. 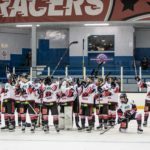 The Racers visit Dundee Comets on Saturday, before returning to home ice to play Kirkcaldy Kestrels the following day (click here for tickets). Just two points separates the three sides heading into the weekend, although the Racers have games in hand on the other pair. 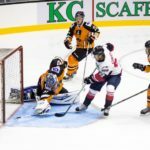 Murrayfield have faced the Comets three times this season, winning the reverse fixture in the league and drawing twice in the Stuart Robertson Cup. 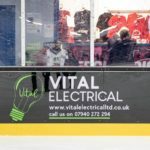 They are also unbeaten in four meetings with the Kestrels, recording victories in three cup games and drawing in the league. With the regular season heading into the final few weeks, Racers’ forward Callum Boyd believes this weekend could be pivotal in the title race. “It’s a huge weekend for us and all the boys are up for it,” he said. “We’ve been playing all year for this and this weekend is what it comes down to. “The guys have been going non-stop proving we’re the best in the league and we want to keep that going. “Both games aren’t going to be taken lightly and we want to keep the unbeaten streak alive. Winning this weekend is going to get us all up and hungrier for more trophies. The Racers can confirm that Craig Main has left the club. The ‘D’ man is taking some time away from the game as he has a new baby on the way. We would like to wish Craig and Lisa all the best for the future.